It's time to stop relying on feelings and start focusing on facts. Everyone is looking for an edge. A way to produce better, faster, cheaper results. The processes you use to make decisions have a large impact on those results and the gains you make on your competitors. In the past, we've used a combination of 'instinct' and small, if unreliable, units of data to dictate the paths we take. However, the use of intuition and educated guessing can lead to ill-fated strategies. So, why do marketers, business owners and managers continue to base decisions off of what one might call "instinct", when in reality, it's just a best guesstimate? The answer? Until now, data hasn't been as readily available or accessible at our fingertips. In years past, gathering valuable and meaningful information often meant hiring a team who used paper and pen polling, phone tracking and observational tracking. You had to work with multiple services, that used multiple formats and resulted in disorganized stats. Small bits and pieces of information did exist. However, it was time consuming for your team to analyze the numbers and by the time your results were known, they were likely no longer relevant or only useful for year to year comparisons. If the numbers couldn't be interpreted accurately, the only alternative was to rely on experience and instinct; it was all we had. Now, we have so much more. 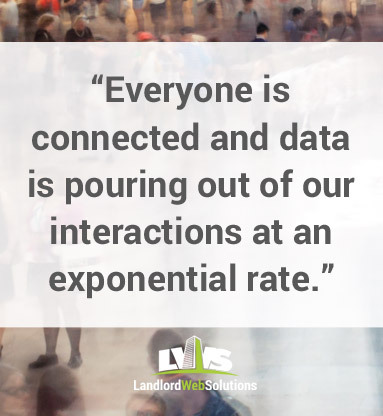 Everyone is connected and data is pouring out of our interactions at an exponential rate. Industries everywhere, including the rental housing industry, are looking for ways to use data to disrupt how things are done. We need more than last year's numbers. We need real-time facts and figures today to help us make decisions tomorrow. Now more than ever, timeliness is crucial and the best 'guess' just doesn't cut it. Data analytics tools, such as Google Analytics and LIFT Insights, are now at the forefront and are easily accessed and managed. 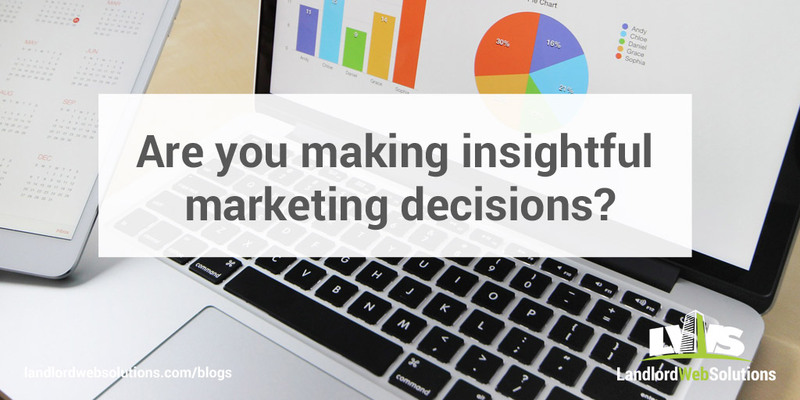 They enable you to make decisions based on real-time facts which can help you achieve and exceed your desired ROI. Experience will always play a role in decision making, but we're now able to pair it with what the data tells us, in order to achieve better, faster, cheaper results.